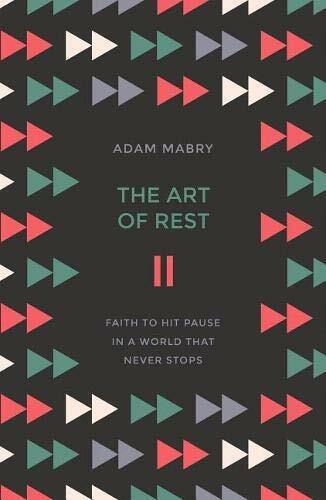 I can’t say whether you’ll love The Art of Rest by Adam Mabry as much as I love it. You might not need his book as much as I do. Throughout the last year I have especially felt the need to practice better rhythms of work and rest. God made us to experience both, not just one or the other. But until this last summer, being vaguely aware of my inability to rest had not coincided with the ability to change. The Art of Rest helped me turn the corner. Mabry is a local church pastor in the busy city of Boston with a young family, which means he doesn’t write about rest from a hammock on the beach with a Corona in hand. He knows what it’s like to slam doors too hard when his young children dilly-dally instead of getting ready for school. He knows the pressures of pastoral ministry that seep into home life. He knows what it’s like to buy a house and renovate it while living there. Oh, and besides church planting, loving his family, and renovating a home, Mabry is a PhD student. In other words, he’ll see your busy and raise you ten. This is part of the reason I like The Art of Rest so much. Mabry writes as a fellow pilgrim. He, too, is searching for asylum from a common but often ignored idol: busyness. “In the West,” Mabry writes, “we’ve managed to take something that has in every culture until recently been a vice and, through the magic of repeating a bad idea long enough, have turned it into a virtue!” (p. 29). A strength of the book is the way Mabry connects our busyness problem to our hearts. Our refusal to rest, Mabry argues, betrays our lack of trust in God and our propensity to rebel against our humanness. It’s patterns of biblical Sabbath that remind us we are neither little gods nor beasts of burden but dearly-loved image bearers of God. Another strength of the book is the way Mabry avoids binding prescriptions for how the principle of Sabbath should look in your life. In the final chapter he offers suggestions, not rules, for practicing Sabbath. I certainly wouldn’t call this trinitarian observation simplistic. The Art of Rest is just one of several books I’ve read this year circling around the theme of rest. The others include Crazy Busy by Kevin DeYoung (2013), Reset by David Murray (2017), Chasing Contentment by Eric Raymond (2017), and Sabbaticals by Rusty McKie (2018). All of these complimented each other, but I felt the most helped by Mabry’s book. When I was given The Art of Rest back in April, I read it, and after reading it, I immediately bought five copies and gave them away to friends. Then I bought and listened to the audiobook. Then six months passed before I re-read his book and wrote this review. When I read the book this second time around, I still loved it. But I was encouraged that I needed the book less than I did the first time around, which is a good thing. It’s the reason Mabry wrote his book. He tells readers that he writes to “sell Sabbath rest” to us. He wants us to know the how of Sabbath, the why of Sabbath, and the look-how-wonderful-this-is of Sabbath. I get no kickbacks for writing this review, but I do confess that just as Mabry wants to sell us Sabbath, I want to sell you The Art of Rest.